Do you look in the mirror and feel that the reflection that stares back at you seems much older than you feel? Our faces often betray the first signs of our advancing years, but many of us feel a deep sense of frustration because we often don’t feel as old as we look. Whether it is the appearance of laughter lines, heavy brows or a sagging jaw line, the outward signs of getting older can have a devastating psychological effect on many people, especially when they still feel young at heart. Perhaps then, it should be of no surprise that billions of dollars are spent on products every year on products that claim to be able to halt or turn back the hands of the ageing process. Although these products have been used with a little success, an increasing number of people are finding that only cosmetic surgery can help them to achieve an effective, long-lasting result. A facelift is a surgical procedure that can improve the visible signs of ageing on the face, and help the patient to look refreshed, rejuvenated and younger than they did before. A mini facelift is a specific variety of the conventional facelift procedure. 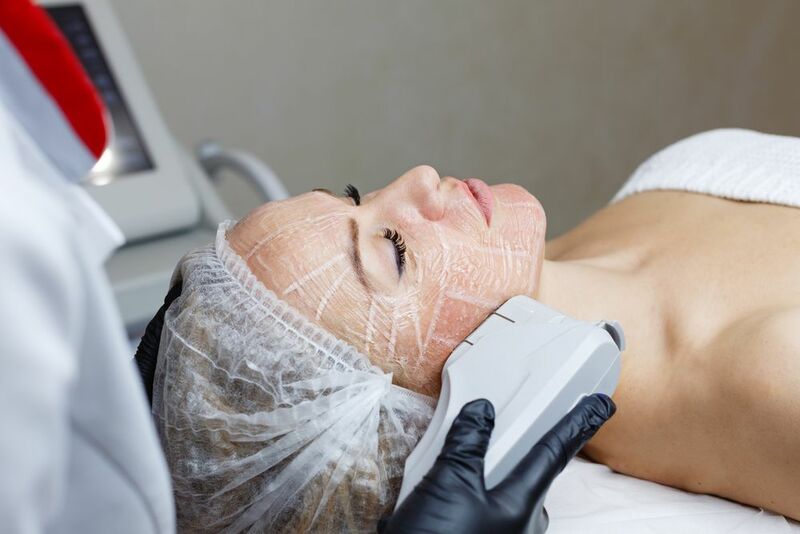 Unlike a full facelift which also addresses signs of ageing on the neck, a mini facelift focuses purely on improving the appearance of the cheeks and jowls in the lower half of the face. By smoothing and tightening this area, the patient can achieve a stronger, more defined jaw and reduced lines around the mouth. Their cheeks will also look more sculpted. What happens during a mini facelift procedure? A mini facelift is significantly less invasive than a full facelift procedure. The patient is given a general anesthetic and so will not feel any pain, nor have any memory, of the surgery. In a mini facelift, two incisions are made – one on each side of the face running along the natural crease in front of the ears, from the bottom of your earlobe to your hair line. The exact length and pattern of the incision will depend on the extent to which the face will be tightened. Then, Dr. Douglas Chin will pull the skin on your face upwards and out towards your ears. This pulls it tighter against the contours of your face, reducing sagging and smoothening the appearance of wrinkles. Once Dr. Douglas Chin is happy with the placement, the skin is sutured into place, and any excess skin cut away. As the surgery from a mini facelift is much less invasive than that of full facelift surgery, recovery is usually much faster and more straightforward. Mini facelift surgery is normally performed as an outpatient surgery, meaning that you will be able to return home the same day. However, you will need to have a friend or family member drive you home and stay with you for at least the first 24 hours after your surgery. You will be given a compression garment to wear, and you should follow your Dr. Douglas Chin’s guidelines for how long this should be worn. You will also be in some discomfort following your surgery, and we will provide you with pain relief. Swelling and bruising are also to be expected, and it may take a number of weeks for this to fully abate. Dr. Douglas Chin will want to conduct a post-operative check to see how you are healing. This will normally happen within 48 hours of your surgery. However, he may also schedule other follow-up appointments further down the line if he believes that they are necessary. Tired of looking older than you feel? Want a refreshed and revitalized appearance? You aren’t alone. Don’t delay any longer, contact our friendly and professional team and arrange a consultation appointment today at East Bay Plastic and Reconstructive Surgery.